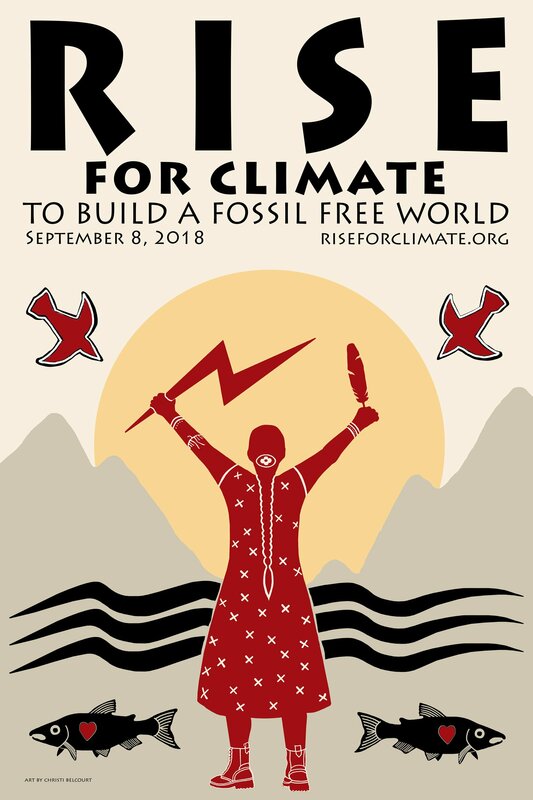 On the weekend of September 8-9, global grassroots organizations 350.org and the Peoples Climate Movement are planning thousands of rallies in cities and towns around the world to build awareness and support for the Global Climate Action Summit to be held in San Francisco on September 12-14. Delegates to the Summit will celebrate the best work being done at all levels and then ratchet up those efforts in order to achieve net decreases in yearly greenhouse gas emissions by 2020 and net zero emissions by 2050 or sooner. 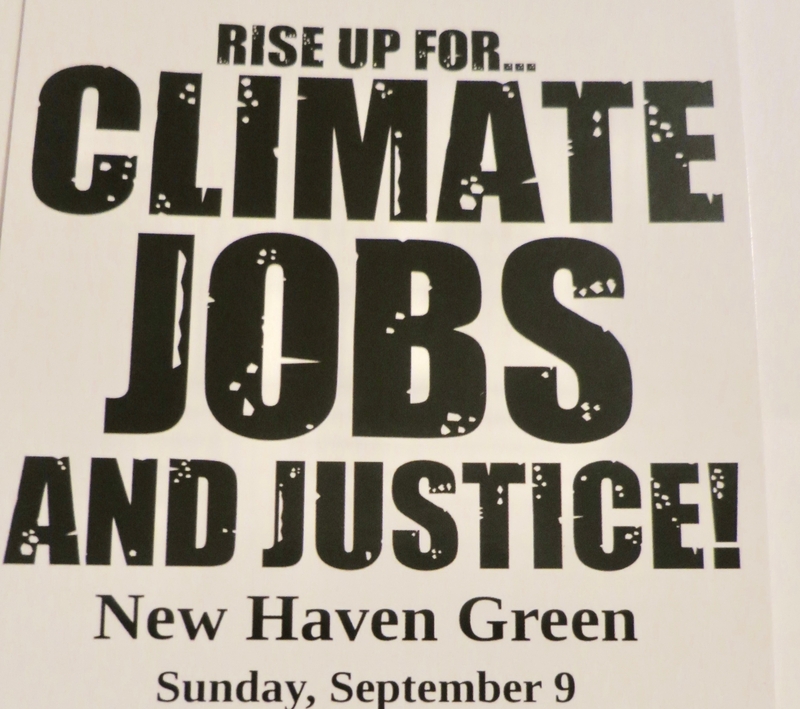 In Connecticut, we will Rise Up for Climate, Jobs, and Justice at a rally and march in New Haven on Sunday, September 9, to demand that our local leaders commit to building a 100% clean renewable energy world that puts people and justice before profits. Please add your organization’s name to the list of sponsors and endorsers of this state mobilization. Choose your level of support. Corporate Sponsors: $500 or more. Will be acknowledged in printed program. 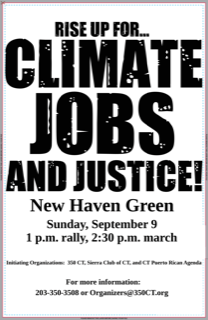 Non-Profit Sponsors: Donation of $350 or more. Will be acknowledged in the program, on publicity, and from the stage and have your banner hung on the stage. Friends: Donation of $200 or more. Will be acknowledged in the program, on publicity, and from the stage. Endorsers: Donation of $50 or more. Will be listed on the publicity and program. Kindly forward information related to your level of support to Diane at dlentakis@sbcglobal.net.